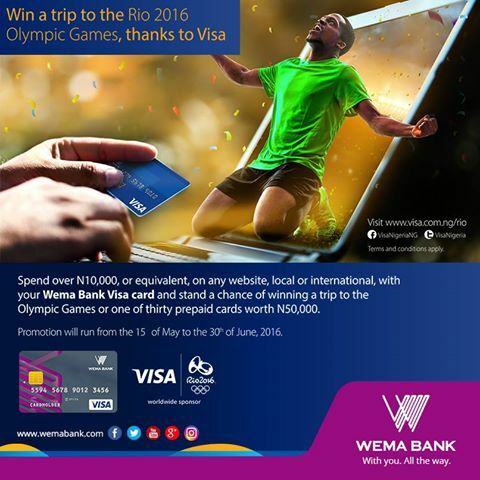 WEMA BANK WIN A TRIP TO RIO 2016 OLYMPIC GAMES. Get your Wema bank Visa Card today! Promo runs from 15th May to 30th June, 2016.